In order to exercise my right of defense at trial I present myself to make this manifestation, which I request be added to this legal case as part of the current investigation. 1) Each time a political movement of characteristics national and popular was overthrown or completed its mandate, the authorities who succeeded used systematically the disqualification of their leaders, attributing them the commission of serious crimes, always related to abuse of power, widespread corruption and ill-gotten assets. However, the real reasons were always the same: on one hand, to sweep away achievements and rights acquired by society in its different levels and activities; on the other, to impose adjustment and indebtedness programs –indissoluble pair- using the alleged corruption to hide both goals. Over the years each one of these alleged “moralizing processes” became nothing but formidable transfers of income and wealth from the majority to the ruling elites and their related economic groups. Time brought to light the scandalous corruption mechanisms to put these policies into practice. There are many historical facts to prove this. The first argentinian former president who had to face a judge was not a Peronist, for a very simple reason: the national and popular movement at that time was still embodied by radicalism and its liminal figure: Hipólito Yrigoyen. Ousted in 1930 by the first military coup in history, not surprisingly validated and legalized by the Supreme Court of Justice of the Nation, Yrigoyen had to suffer being investigated by a special commission for alleged acts of corruption, and was imprisoned on the Island Martin Garcia. Yrigoyen regained his freedom thanks to a pardon he himself rejected. 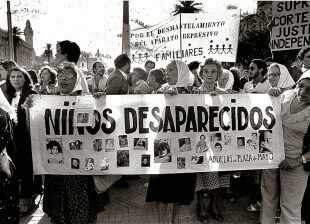 The day of his release, General Justo assumed as President of Argentina, initiating what is known historically as the “Infamous Decade”, a period of scandalous corruption and country submission. However, they did not stop there. He was later on returned to jail to spend the last year of his life in Martin Garcia prision. This time it was not corruption, he was accused of conspiracy. Later on, the national and popular movement became embodied by Peronism in the figure of its founders: Juan Domingo Perón and Eva. During Perón´s first two periods in government, popular conquests and new rights framed history and time. Once again, after overthrowing General Perón, the de facto regime issued the Decree Law 5143/1955 establishing the National Asset Recovery Board, a special commission in clear violation of the Constitution, which was assigned judicial functions under the “laudable purpose” of seizing back all assets taken by the alleged corrupt officials of the previous government. Despite the contempt of the most elementary principles of the rule of law, there were judges and judicial officials, even at the highest levels, willing to justify such abuses without leaving aside their legalistic references, in the name of self- proclaimed ethical values corresponding with “their national being”. “1. That before the revolution of September 1955 the country was subjected to a despotic government, and in a state of chaos and administrative corruption, due to the direct action of the people included in Decree Law 5,148 / 55 and, in particular, the appellant in that case. Any coincidence with the speeches and actions of the current government and the decisions of some sectors of the judiciary, is no accident. The history of eighteen years of proscription, the events during that historical period, and finally the return of Perón to the country to exercise his third presidency, exempt me from further commentaries. 2) In 1976, the bloodiest genocidal dictatorship in our history followed the same path regarding the constitutional authorities who had been overthrown, and even leaders who were not part of that government. As a matter of fact, some were strong opponents of it. That way they cut short the democratic process, by preventing the presidential national elections as had been convened. 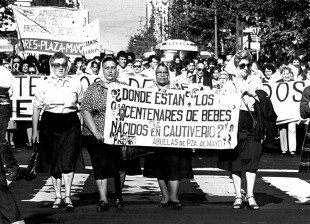 At the time of the coup, Argentina was an industrial country where worker participation in the gross domestic product was almost 50% and foreign debt was extremely low and did not involve any constraints. Thus, on October 21, 1977, the infamous “National Commission of Patrimonial Responsibility” (CONAREPA for its name in Spanish) was created within the Ministry of the Interior. CONAREPA seized not only property and assets corresponding to the officials of the ousted government, but also belonging to businessmen, politicians and union leaders, who were all detained solely for political reasons. Surely, using the always convenient and media promoted, anti-corruption cover up. Moreover, deplorable judicial precedents that endorsed the ominous behaviors described, are matter of public records. It is imperative to note that the participation of the Judiciary always becomes “sine qua non” for such practices. In this sense, a paradigmatic example is the case of “Papel Prensa”. In that case, all assets of the Graiver family became administered by the CONAREPA above mentioned, under the complacent gaze of the judges of those years, and the inactivity of the judges today. It has been a long time and still crimes against humanity committed against the Graiver family are not receiving the appropriate punishment. A few days ago we commemorated 40 years of that “moralizing” process initiated on March 24, 1976. In the most literal sense, we are still paying for its tragic toll in terms of violation of Human Rights, foreign indebtedness, de-industrialization, financialization of the economy. The background mentioned helps to understand that what is happening today must be enrolled in a political and institutional context that has been repeated throughout our history: the progress and setbacks on rights and welfare suffered by the argentines in the past and again today. Precisely because of the historical value of the files, records, judicial proceedings and other documentation of the ill-fated CONAREPA, as President of the Nation I arranged for its transfer to the National Archives of Memory, as an example of a past we do not want to repeat. 3) However, once again history repeats itself and the past returns to catch up with us argentines: debt, devaluation, layoffs, political persecution, rate hikes in essential public services, prices stampedes, closed down businesses, industries in crisis, censorship and curtailment to freedom of expression, are just some of the calamities that the new government has brought in just 120 days. This tragedy becomes comedy when the faces of those who present themselves to us as crusaders against corruption, are the same ones who were part of the “Patria Contratista” (Contractor´s Country) during the 80s and 90s. Their family names were inextricably linked to scandals and State obscure negotiations, positioning of managers and executives of their own companies in key positions in the government. Even smuggling cars through offshore companies only to be acquitted by the infamous “automatic majority” of members of the Supreme Court (later on impeached) or the nationalization of the debt of their companies; among other acts of corruption. 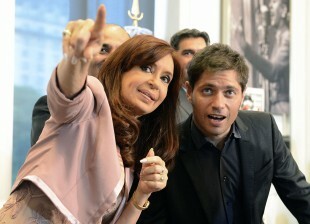 We should not be surprised then, to see them illustrate front pages of all the international media, along with other leaders and mandataries, some of whom have already resigned, being accused of hiding accounts and companies in tax havens that were revealed and had never been disclosed to argentines. The International Consortium of Investigative Journalists presents the case “Panama Papers” on its website under the title: “Giant leak of financial offshore records exposes the global matrix of crime and corruption”. An unprecedented global scandal they attempt to hide, unsuccessfully, with the trite resource of indictments and media-deployed complaints and legal actions. The Plan of Adjustment and Poverty requires, once again, libel and slander for its implementation, under the same pretext that the leaders who defended and still defend the popular and national interests are corrupt beyond repair. This methodology is clearly visible not only in our country but is replicated at the regional level as a matrix designed by experts from other latitudes. 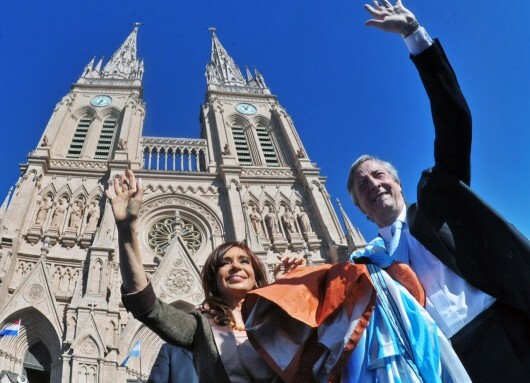 The legal case in which I hereby testify, and others magnified by means of the concentrated media, are but an unfortunate example of what I have been saying, so much so that even the newspaper whistleblower of the global scandal “Panama Papers”, brought to our attention the treatment received by President Mauricio Macri, involved in the case, compared to with the treatment the undersigned would have received, having been involved. 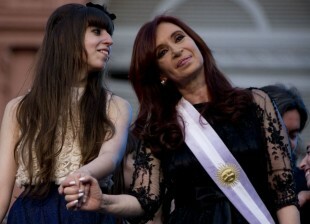 The German newspaper “Sueddeutsche Zeitung” – which released globally the “Panama Papers” – holds that “being the President Cristina Fernandez de Kirchner’s involved, everyone would have demanded her resignation immediately”. (www.sueddeutsche. of / politik / panama-papers-so-reagiert-Argentiniens-staatspraesident-1.2934422). 1) After being informed about the facts intended to charge me with, I understand and clearly confirm that only through an abusive exercise of judicial power this cause could be carried forward. First, it should be noted as something completely new and surprising in legal terms, to be summoned to testify when there is no mention, let alone accusation against me, neither on the complaint made by legislators Negri and Pinedo nor by the prosecutor, or any evidence received. Moreover, a simple reading of the items of evidence the judge makes explicit reference to in pages 367/368, shows that my summon to testify is a prevarication of your honor in the terms provided by art. 269 ​​of the Penal Code. Specifically, the decision rendered is contrary to the law and based on absolutely false facts; and it shall be credited as such to the competent judicial sphere. Secondly, the case has not respected the due accusatory and consistency principle that must exist between the act which has enabled this investigation and the one I am accused of. Specifically we are talking about the existence of a group of officials who, in an organized, systematic and concerted manner, carried out political, technical and administrative actions with alleged criminal purposes, something that was not denounced neither by the pro-government legislators nor required by the prosecutor. This hypothesis of conspiracy, captiously built by the magistrate, is another example of the arbitrariness with which he has proceeded and further reveals the intention of the Government, with the indispensable collaboration of the Judiciary, to “plant” a criminal case against me that will eventually deprive me of my freedom. As I have said publicly and I repeat once again: I’m not afraid. I shall face this process and any other they choose to fabricate. It was my publicly explicit decision not to have immunity that would have placed me in a position of privilege in relation with any other citizen. For me, equality was never a rhetorical device. 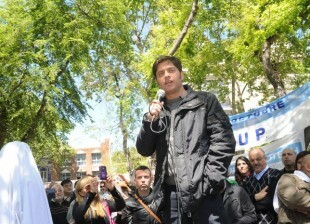 Thirdly, from a strictly legal basis as explained by each of the accused who have already testified in this case, the investigated transactions were carried out lawfully by the authorities of the Central Bank of Argentina, according to the current legislation and inspired by the purposes of its Charter, ie, promote, to the extent of its powers and within the framework of the policies established by the national government, monetary stability, financial stability, employment and economic development with social equality (art. 3). I make my own each and every one of the arguments of Former Minister of Economy, Dr. Axel Kicillof, President and former Vice B.C.R.A. Alejandro Vanoli and Miguel Angel Pesce, as well as those of the Directors and former Directors of the same institution, who have acted in full accordance with what the law prescribes 24,144, Charter of B.C.R.A. in its Chapter One, which is to define the nature and purpose of the institution, in Articles 1, 2, 3 and 4, as well as the other provisions of this instrument, which as strict legislative hermeneutics must be understood and within the framework of the structural definitions of the law. It must be pointed out that my administration has always sought to develop a governance that protects the value of the currency, since depreciation would produce the most adverse effects on economic activity in general. It is beyond doubt that, at least on this matter we have not been wrong and the consequences are obvious. From December 2015 to date, the unstoppable stampede of prices, unemployment, rising poverty and declining economic and commercial activity undoubtedly have points of convergence with the effects of a “maxi-devaluation” carried out by the current government authorities in the most brutal way. The government does not care for the argentines. Neither them, nor the pain, anguish and uncertainty that they are now living. Fifth, all that has been said in the complaint about serious damage to the Central Bank and undue benefits to unscrupulous third parties, turned out to be mere electioneering manifestations that were given media coverage by the substantiation of this cause. Note that at the request of the current Chairman of B.C.R.A. the judge hearing the case on two occasions said that there was no orderly restrictive measure which prevented payment of contracts under investigation. One wonders then, how can anyone be accused of the commission of a crime whose alleged consummation has been authorized by the same judge in charge of this investigation? Moreover, it should also be noted that none of the alleged “third parties illegitimately enriched” by the operation of the future dollar, were individualized let alone cited during these proceedings. There is no procedural activity in this sense that might even insinuate that line of investigation. I wonder: May it be perhaps that an acquaintance might turn out? Someone who is better kept away from this investigation so as not to suffer new political missteps? We could add as funny paradox of these “champions of morality” that the current President of B.C.R.A. is currently firmly processed for economic crimes, for the “operation” of debt known as “mega-swap”, no less. Again, no comments. In recent days, facts that are public domain show how the moral principles being preached turn out to be just a mere distractive exercise for the adjustment of the economy, which has been buried in the international scandal of a government whose President, his closest relatives and closest officials are exposed as holding companies and offshore accounts, which elsewhere have already led to resignations of Prime Ministers. In short, it is a group of people who, according to the parameters your honor has chosen to impute in this case, also they deserve to be investigated in light of the alleged crime of conspiracy. Moreover, as the President and members of the Board of the Central Bank have indicated in its statements, the sale of future dollars produced no loss whatsoever to the Central Bank, as reflected in their balance sheets. The detrimental effects are exclusive consequence of the decisions made by the current authorities to devaluate, and were validated by the judge. In short, the accusation sub litis is absurd in both factual and legal terms and enters the realm of the ridiculous. This is evident in the “inquisitive” questions your honor has made to some of the accused, with the intention of making justiciable facts of strictly political content – pitch in which the judge moved with very little success in his previous positions – also showing the same degree of incompetence noticeable in this type of technical issues. The force of events is overwhelming. This proceedings were initiated by a false report that the judge instructed quickly. Two days before the second round of national elections, they conducted a raid on the B.C.R.A. for the purpose of causing a bank run to force the devaluation, and failed. After the election results, contrary to what was always publicly held, they pressed forward with these proceedings to obtain the resignation of the President of B.C.R.A., disregarding the independence of the B.C.R.A. which had been endlessly proclaimed in many forums and television sets. With new authorities designated, a devaluation of the currency was carried out. As seen, it produced devastating effects on the economy. Finally and again with judicial complicity, they moved forward with these proceedings, falsely accusing innocent people with the commission of crimes, which had they existed, would be the sole responsibility of the current authorities. In short, they filed complaints, tried a “judicial run” to force a devaluation, ousted out the President of the Central Bank, devaluated and now, with judicial complicity, intend to place us before the public opinion as guilty of the effects of the measures and decisions they adopted. Finally the Government of excuses, like everything else in life, has a limit: the responsibility for one’s actions and the inevitable judgment of history.